Learn about our Massage Therapy service. Massage therapy improves circulation by bringing oxygen and other nutrients to body tissues. It relieves muscle tension and pain, increases flexibility and mobility, and helps clear lactic acid and other waste, which reduce pain and stiffness in muscles and joints. Our massage therapy combines scientific and holistic medicine by focusing on improving the health and function of the nervous system, particularly the spine. We use chiropractic massage to help our patients relax the muscles in the back, neck and torso. When these muscles are continually tensed in a patient’s everyday life, this can lead to ongoing discomfort in the form of cramping, headaches, backache, neck ache and migraines, as well as more serious illnesses. Massage can help to relieve these physical symptoms while also promoting mental and spiritual well-being. There’s a reason why so many spas offer a wide variety of massage services. At its most basic, massage helps relieve stress and relax the mind and body. Massage can also serve an important medical purpose; unlike what you’ll experience at a spa, the Orlando, FL massage therapists at our chiropractic center are licensed professionals with experience working with chiropractic patients. We understand that our patients have unique medical needs, and we understand the important role that holistic health plays in your life. With a focus on the relationship between the spine, joints, ligaments and muscles, our massage therapists use chiropractic massage to promote deep relaxation. This allows a chiropractor to more fully and easily adjust subluxations (dislocations or sprains) of the spine. But the advantages of massage don’t stop there. Many of our patients came to our practice from Orlando and surrounding Central Florida communities for relief after an accident, fall, injury or illness. Through massage therapy, we help to reduce pressure on the spine, relax sore and stiff muscles, improve blood flow, relieve pain, and promote relaxation. The physical benefits of massage make it an obvious treatment choice for anyone who is suffering from chronic pain, migraines or muscle ache. Because it also has such a strong effect on a person’s mental health, we also recommend massage therapy to anyone who is looking to attain a higher level of holistic health and wellness. Even those patients who are not in pain can enjoy the added health benefits of massage. By relieving stress and promoting better mental stability, massage Orlando FL can help to better equip our community for the everyday stresses and demands that come with our busy lifestyles. Massage Therapy and Holistic Health Massage is known to promote overall healing: it boosts the immune system, reduces recovery time from injury, and eases pain while simultaneously relaxing and energizing the mind, body and spirit. We believe in the power of natural, non-invasive treatment options for chronic pain, and we are proud to offer massage therapy as both a treatment option and a supplement to a holistic wellness lifestyle. Get in touch with us today to learn how massage Orlando FL can change your life. Our chiropractic center’s massage therapists are licensed professionals here to serve your needs. 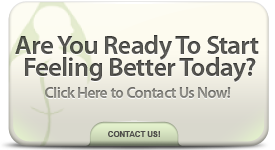 Contact Fulmore Chiropractic and Natural Solutions to get started! Are you in pain? Are you searching for a quality, caring Orlando Chiropractor who will treat the cause of your pain and not just band-aid your symptoms? You have come to the right place. Fulmore Chiropractic of Orlando FL, a member of the ACA (American Chiropractic Association) has over 30 year’s experience with back pain, neck pain, sports injury, and auto accident treatment. Pain kills. Pain also affects the quality of your life. We could go on and on about Fulmore Chiropractic, but sometimes it’s best to let our clients do the talking. We'll keep you posted on the latest featured topics, research studies, videos, tools and upcoming web events. We won't be passing along your information for any other purpose.